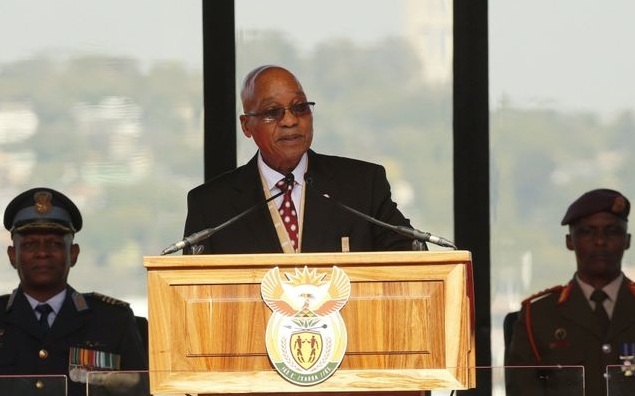 PRETORIA – Thousands of people from all walks of life converged at South Africa’s Union Building to witness President Jacob Zuma’s inauguration on Saturday. The cheering crowd started arriving as early as 4 am local time. The swearing in of Zuma for his second and last term was attended by heads of state and government, deputy heads, and former heads from 47 countries. A fleet of planes formed in the shape of number “20,” representing 20 years of freedom and democracy at the presidential inauguration. He stated that the country has achieved economic transformation, social cohesion but said more works still needs to be done. He emphasized that radical economic transformation and improving the lives of South Africans will be his missions. The infrastructure improvement will be accelerated. “We will continue to build schools, railways, ports, universities, clinics, colleges, power stations, broadband, roads and more infrastructures around the country,” he said. By 2030, the South African government wants to ensure that people would feel safe at home, school or work. “The end result of all these transformative economic programs is a growing inclusive economy which creates jobs and provides opportunities for all, especially the youth,” Zuma said. Acting Zimbabwean ambassador to South Africa Samuel Mhago told Xinhua that his country is looking forward to continuing with good relations with South Africa. “We have good relations with South Africa and we hope to continue building on this as we congratulate President Zuma for his second term,” said Mhago. South Africans from all walks of life witnessed the event. Thato Modumedi, an African National Congress member, travelled from Limpopo province. “I am happy with the President and my party. We rule again as expected. We liberated this country and we are happy that South Africans have shown faith in us,” said Modumedi. 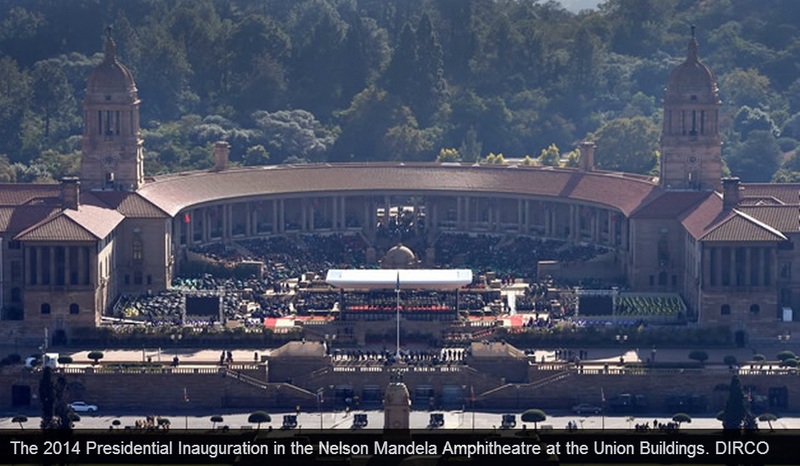 More than 4,000 guests were seated in the amphitheatre while about 20,000 watched the proceedings from outside on the lawn before the Union Building through televisions. 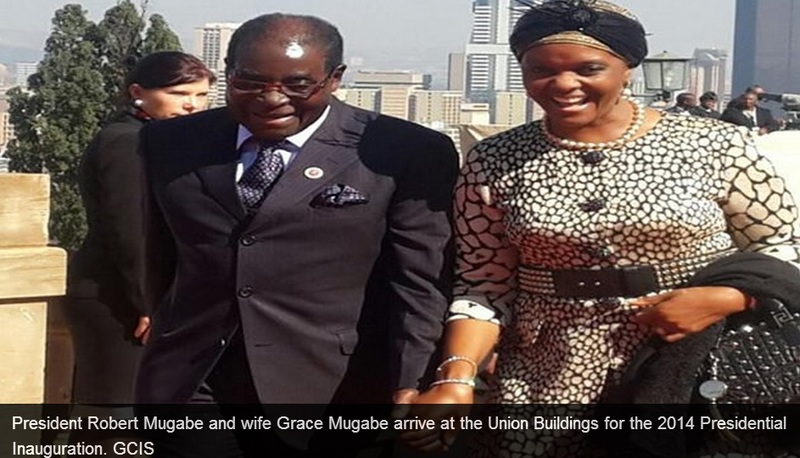 African Union Commission Chairperson Nkosaza Dlamin-Zuma and former South African President Nelson Mandela’s former wife Winnie Madikizela-Mandela attended the event. Celebrities and foreign ambassadors residing in South Africa also attended.